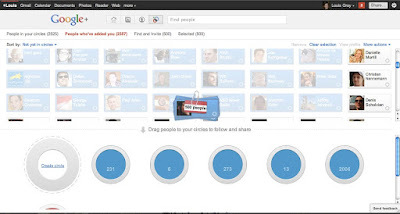 The way Google+ has integrated Circles and managing people in Circles means two major things when it comes to bulk friend management - especially if you're quite active on the site. 1. You really have no downside to following as many people as you want. It doesn't hurt. Just put them in a Circle that is not your front page, and you can move people up and down the Circles as their content becomes more important or less. This is a great way to find new people you don't know yet. Sorted by "Not Yet In Circles"
2. It is very easy to move many people at once. 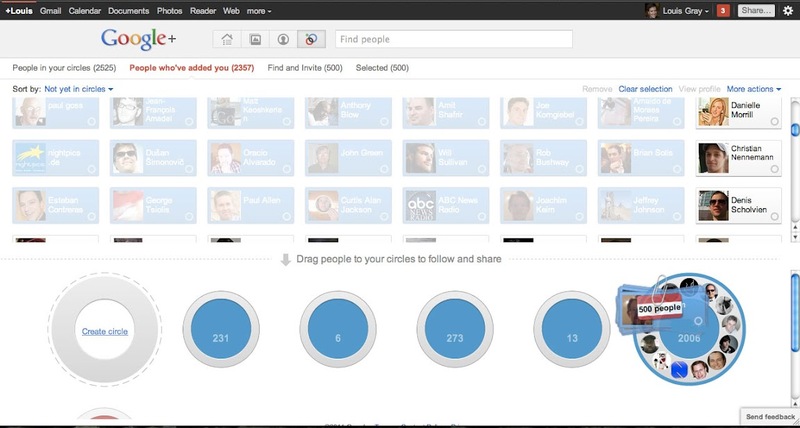 I go to my Circles page, sort by "Not Yet In Circles" to see who I haven't moved yet. Then I can select them one by one, or bulk move. 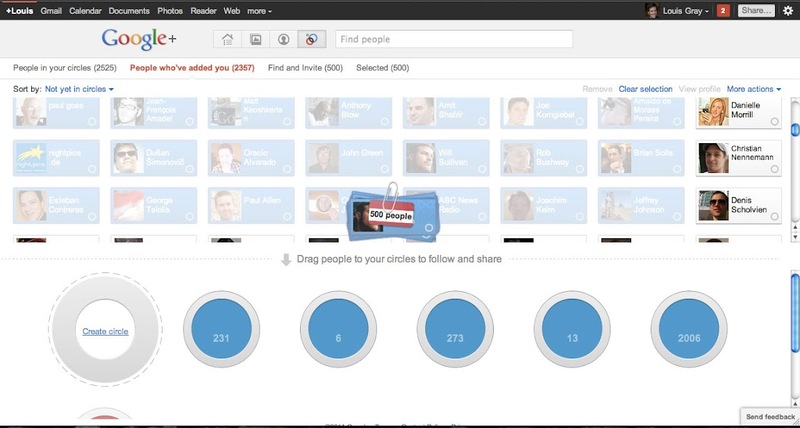 You can bulk move to a Circle called "Following" or "Unfiltered' or "To Do List" or whatever you want. That said, I found limits, even on Google+. You cannot move more than 500 people at a time or the Circle breaks and you have to start over. I moved 128 people and it worked. I moved 256 people and it worked. I moved 512 and it failed. It failed at 511 as well but 500 did work. So don't go nuts and lose your work. On other networks, people call this a "Fake Follow", that gives the inference you're watching someone. Here, that's not the case, but a way to organize, especially during these fast-moving growth times, and then you can recategorize folks later.